The Portugieser Chronograph Rattrapante, which was first announced in 1995 and discontinued in 2006, has been renewed on behalf of the brand’s 3 biggest boutiques in Europe. The new models were produced for the boutiques in Milan, Rue De La Paix and Munich. The watches are produced in the same case design are distinguished by features such as case material and dial color. 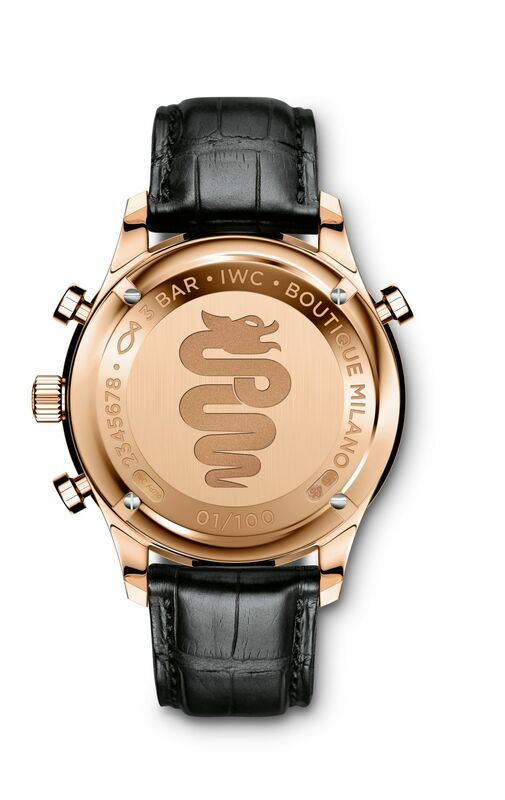 The model produced for the Milano boutique has a 40.9mm 18K red gold case. The new model is powered with the Caliber Ref.76240. 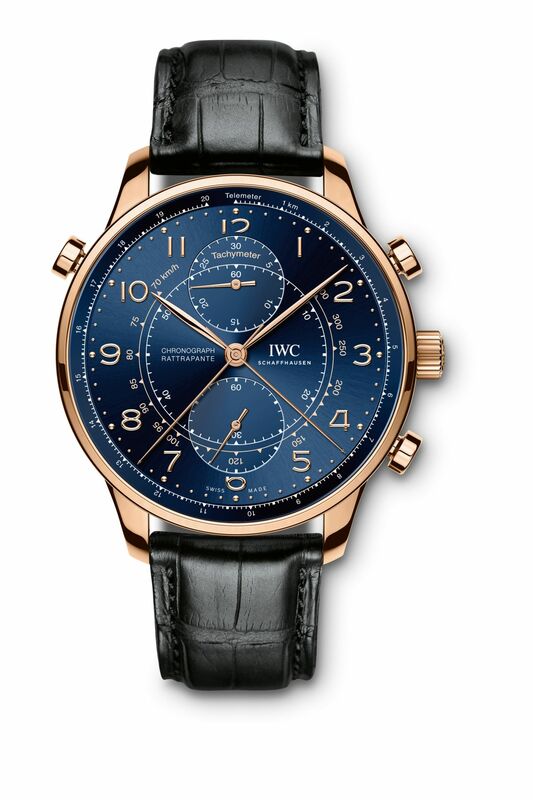 The blue dialed timepiece is offered in a 100 pieces limited edition only. 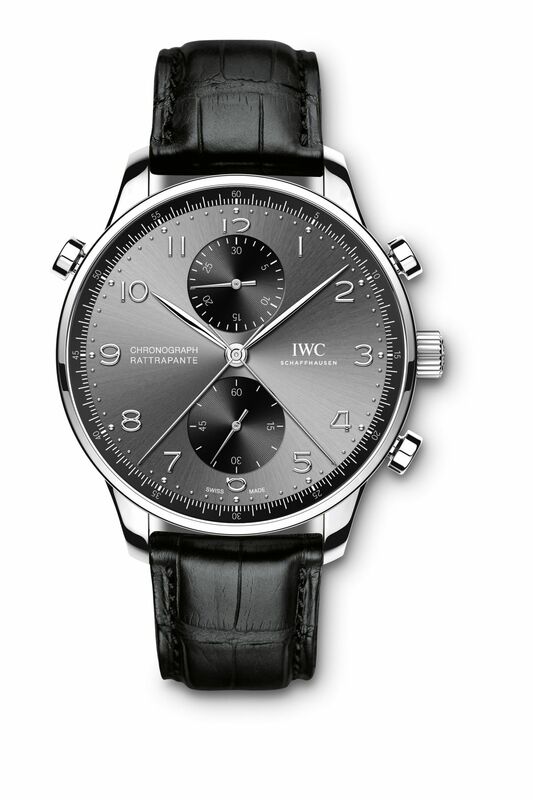 Click on the link for detailed reviews and live photos we prepared for IWC Portugieser Chronograph Rattrapante Milano Edition. 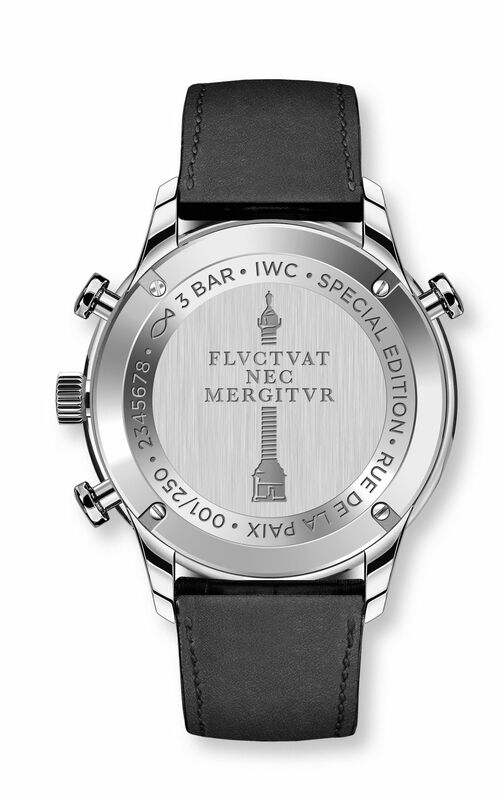 The other model bearing the name of Rue de la Paix, the famous French mosaic, is offered in a stainless steel case. Slate dial model is limited to 250 pieces only. The latest model is produced for Munich Boutique with the Ref. IW371217. 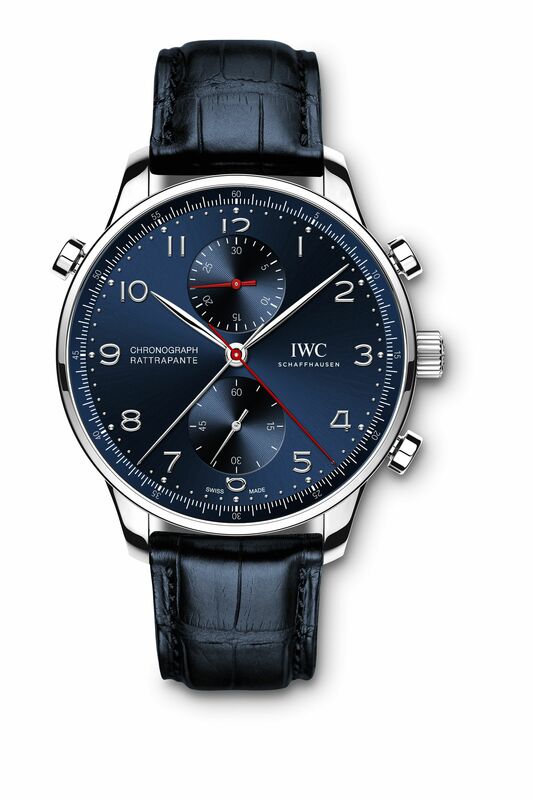 The new timepiece is offered in a stainless steel case and it features a blue dial. The model is limited to 250 pieces only.